Once a hippie always a hippie, I suppose, but was ever a hippie quite as dashing or well-kept as Robert Redford? The ultimate All-American romantic leading man may have reached the pinnacle of stardom, but he never let it get in the way of his hopeful vision as to the way things should be; whether supporting the arts and independent filmmakers with his Sundance Film Festival, or choosing films with strong socio-political messages, like The Candidate or All The President’s Men. 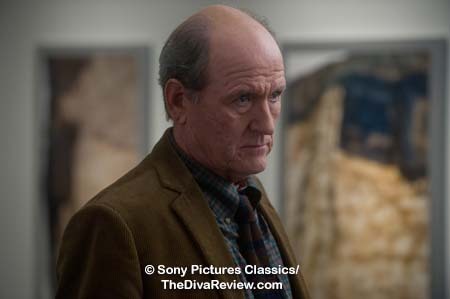 In The Company You Keep, director/star Redford mixes the idealism of the 1960s’ Flower Children with the frustrations and radicalism that followed in their wake and throws in a word to two for the journalists of today. Thirty years after being involved in an act of political terrorism, Sharon Solarz has finally decided to do the right thing. Living perfectly successfully as a wife and mother in the middle of nowhere, USA, she cannot forget her role in a bank robbery committed by the radical Weather Underground that resulted in the death of a security guard, and so Solarz gives up to FBI. Her conscience purge will set off a long chain of events which will affect both the innocent and guilty. One person touched by Solarz‘s surrender is Jim Grant, who, like Solarz, hid in plain sight, living as a small town lawyer and single dad to his very young daughter. An ambitious local journalist is intrigued by the arrest nearly forty years in the making and digs deeper to find the root of the story. It isn’t long before the tenacious Ben Shepard has pieced together a whole underpinning to the tale that implicates several of Solarz‘s associates, including Grant, who, unlike his old running buddy, wasn’t quite ready to have his world upended in a single day. 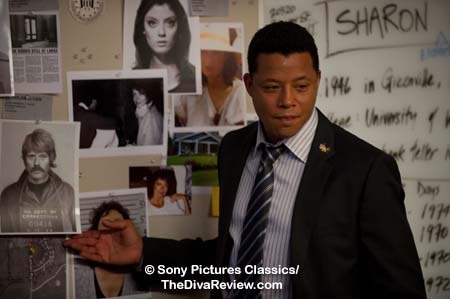 The FBI and the persistent journo pursue Grant, each for their own reasons, while he uses an array of ninja-like evasive manoeuvres and taps old but strong connections in the quest to clear his name. Unfortunately, some of the rebels’ old dogmas haven’t faded in their golden years and convincing some of those comrades to give themselves up for what they believed were patriotic actions is a more difficult task than Grant supposed. Even old lovers with long, complicated histories might not be swayed, leaving Grant in the path of the FBI. There are several notable qualities about The Company You Keep, the most refreshing being the patent idealism that permeates the piece. 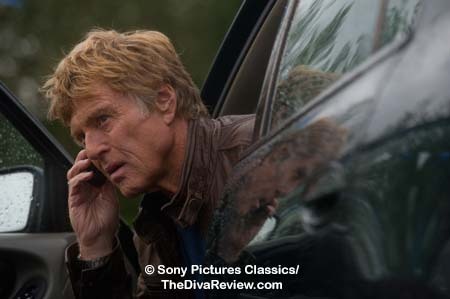 The heart of the activism that moved so many to protest in the sixties and seventies for their goal of building a better country is very present here and seems to be one of the motivating factors to Robert Redford’s involvement. The story, based around the actions of the Weather Underground is surely a subject that most of the audience born long after those events will have no clue, but is interesting, nonetheless. 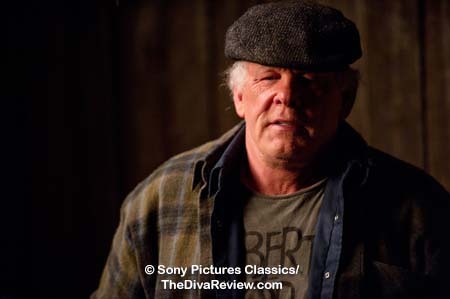 The second and greatest feature of the film is its older cast. 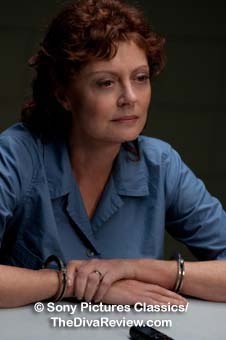 Besides the monolithic Redford, there’s an amazing ensemble of some of cinema’s finest actors, Brendan Gleeson, Richard Jenkins, Chris Cooper, Susan Sarandon, Stanley Tucci, Sam Elliott and the luminous Julie Christie in small but tantalising roles that make us long for more of their screen time. 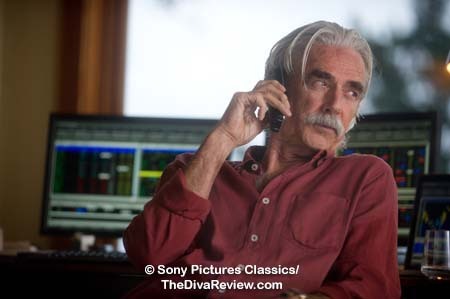 At fifty-eight, the second youngest supporting star is Brendan Gleeson (Tucci is fifty-two) is ten years Sam Elliott’s junior and twenty years younger than Redford. Their interactions sizzle and put a lot of the juice into the movie’s engine. 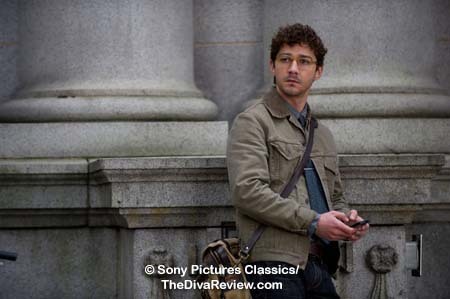 By comparison, the movie spends an unfortunate amount of time exploring the means and motivations of the young journalist, played by Shia LaBeouf. Shepard spends so much time as a nippy Chihuahua who won’t leave Jim Grant alone, or like a pesky mosquito around the ears of anyone he’s trying to get a story from; using weak threats and intimidation, it’s hard to root for the twerpy character even when he has his all-too-predictable moral epiphany. The Company You Keep made me question (once again) whether LaBeouf can actually play anything other than the cocky, unkempt, bratty frat boy (Who unfathomably always gets the girl) he seems to be repeating over and over in every film. I increasingly am convinced that his feature debut, Holes, at age seventeen is still his best performance. 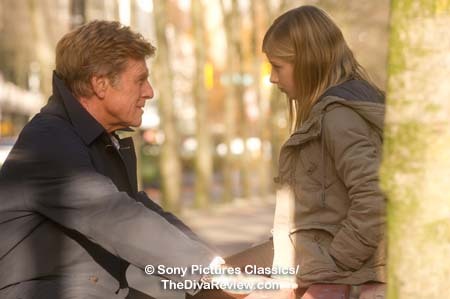 The terrifically wide age gap between Redford and his eleven-year-old daughter, played by Jackie Evancho, is distracting, while the casting of Brit Marling as another person in Grant‘s life is easily at least ten years too young. The aforementioned senior ensemble is the perfect antidote to LaBeouf’s hyperactive, fake swagger and the other odd notes in the film and keeps the project on a relatively even - if unsurprising - keel. It’s refreshing to see an artist who even in his sunset years has not given up the idealism that has clearly inspired him. 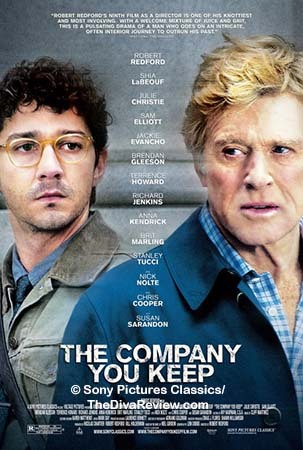 Robert Redford’s beliefs in good journalism and good people working toward good government is at the forefront of The Company You Keep, but it’s the story of decades-old friendships and trust portrayed by its assortment of some of the movies’ finest actors that really makes it worth watching. 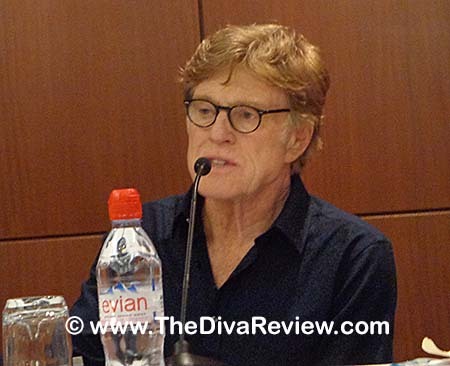 Bonus feature: We had the pleasure of attending the press conference for The Company You Keep and LMD had a chance to pose a question to superstar Robert Redford. No April Foolin’. The Lady Miz Diva: Mr. Redford, this is not the first time you’ve dealt with the subject of journalism in your career, but The Company You Keep arrives at an interesting time in the media, when our news either seems to lean far left or far right, or follow some agenda. Was that part of what drew you to tell this story at this particular time? 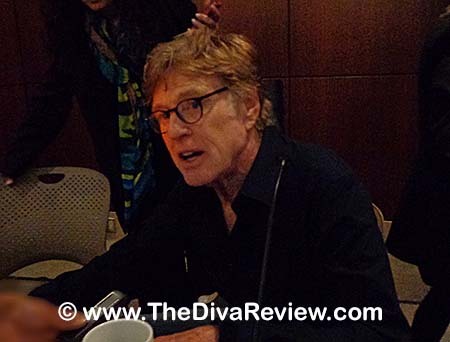 Robert Redford: Well, it’s tricky business when an artist tries to mess around with journalists. I’ve done that before. Basically, I was protected by a story that was written by somebody else, and I was just documenting that. But it’s tricky because I don’t know that the media’s comfortable being criticised by people that are not in their own world. I don’t know, I might be wrong, but that’s just sort of a hunch. So, in other words, you have to be careful. On the other hand, because I have such a keen interest in the media, because I think it plays such an important role in our society; I’m very concerned if it’s ever threatened in any way. And if it is threatened, I would like to know how and what and maybe that’s a story. So I think that the internet has so drastically altered the landscape of journalism because now you’ve got so much information, sometimes I think there’s sometimes too much information and how do you find the truth? 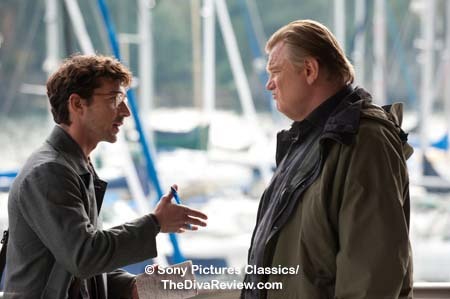 Where does a public citizen find the truth when so much is coming at them? As you said, you have the far right and far left hammering stuff; much of it is lying on both ends, so if the public really just gets fed up and turns away, then I think there’s real danger. So I’m really curious about the state of journalism; where it is right now and what’s going on. So in terms of this film, I really saw the Shia character - I guess to me, there was a hint of a story that I’ve always loved: The two stories that I loved as a kid were the Phantom of the Opera, cos I always wanted to play that part, and Les Miserables. I always thought from the time I was a little kid that was one of the great stories. So I saw similarities in that Shia’s character is the Inspector Javert in Les Miserables and that I am Jean Valjean; in a sense that I go to prison for something I thought is wrong. I escape. 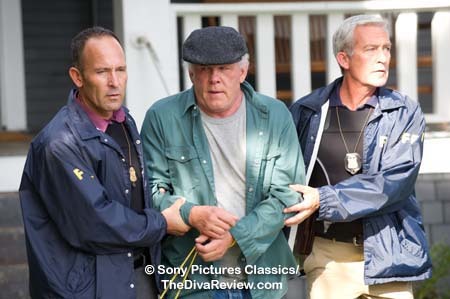 I take on a new identity to escape prison time. I live a clean life. I have a daughter, the daughter means everything to me - that’s Jackie. I had to give up another daughter before she meant too much to me to give up - that’s Brit - that was painful. I don’t want to make that mistake again, so here it is; this means everything to me. And yet there’s someone on my tail that might expose me in a way that makes it impossible for me to have the true love of my daughter and have a clean, clear life. So, that was the mix, the complexity that sparked me to make this film.